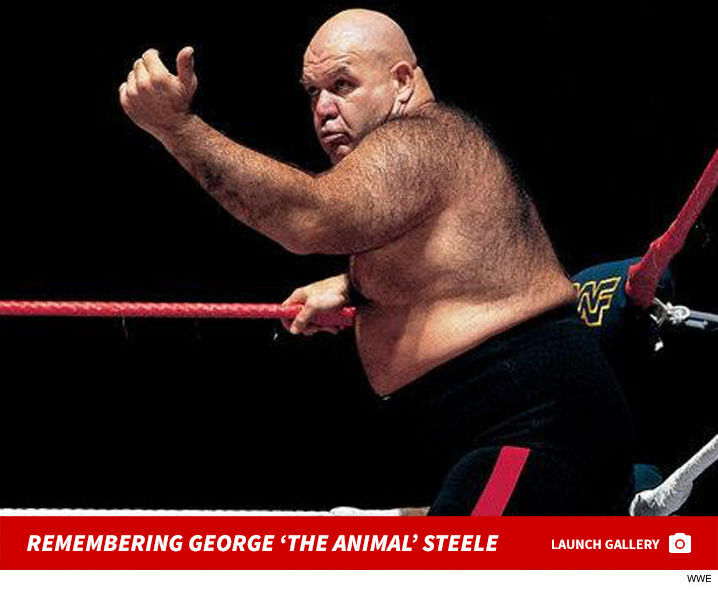 WWE Hall of Famer George "The Animal" Steele died Thursday night in Florida from kidney failure ... George's wife, Patricia, tells TMZ Sports. Patricia tells us George had been in and out of hospice care since April. George had some legendary bouts with Randy Savage back in the day -- and other wrestling greats are reacting to the sad news. Hulk Hogan said, "My brother, only love, only grateful."